Asserting his intention to build a peace that unites the country, Colombian president Duque announced on March 10, 2018, his decision not to sign the statutory law aimed at ruling the functioning of the Especial Jurisdiction to Peace (JEP). This judicial body is a mechanism of transitional justice created through the peace agreement signed between the Colombian Government and the Revolutionary Armed Forces of Colombia (FARC) guerrillas in 2016. Its main purpose is to provide justice for victims of the most serious crimes committed in the context of the internal armed conflict, in particular, crimes against humanity, genocide and war crimes. Therefore, the JEP is responsible for delivering criminal justice, while still embedded in a system of transitional justice whose main focus is restorative rather than punitive. This means for the JEP that it must strive to privilege the victims’ right to truth and reparation by inciting the perpetrators to acknowledge their culpability and to repair the victims in exchange for lighter sentences than those they would receive in an ordinary court. From March 15, 2018, when the JEP started its operations until March 2019, it has obtained the commitment of at least 9,699 guerrilla members and 1,973 militaries to appear before it. However, as Duque claimed that six articles of the statutory law were whether violating the rights of the victims or leaving open the door to impunity, it is not surprising that Duque’s refusal to sign the draft law has caused alarm bells to ring. 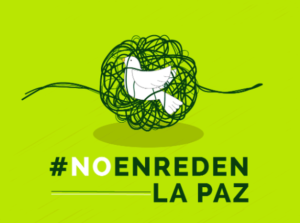 Thousands of voices who support the peace agreement, including groups of retired militaries, have gathered in social media and public spaces around slogans and hashtags such as #NoEnredenLaPaz (Do not entangle the peace) or #yodefiendolaJEP (I stand with the JEP). According to them, Duque’s position is putting in jeopardy the success of the Peace Accord. Yet, the lack of an own legal framework, resulting from Duque’s decision, does not prevent the JEP from ruling, as it can keep working in the light of relevant case law and the available constitutional rules. Against this background, how can Duque’s politics vis-à-vis the JEP, and especially in regard to the Peace Accord, be interpreted? There is a shared view among public opinion that a turning back to war with the FARC is unlikely, all the more so given the achievements of the demobilization and disarmament of FARC guerrillas. According to Insight Crime, as of December 2018, more than 13,000 guerrilla members had demobilized. What is certain, though, is that the impact of Duque’s decision resides in its ability to trigger a climate of legal uncertainty in the implementation of the Peace Accord. However, is this effect a random outcome? Or, is it telling of an antagonistic politics aimed at undermining the capabilities of the system of transitional justice to bring about sustainable peace? A closer look at Duque’s politics towards the mechanisms of transitional justice through an intersectional lens of gender, class and location shows that Duque’s antagonistic politics is not so much a move against peace. Rather, he is deploying an antagonistic politics against the transformative dimensions included in the terms of Colombia’s transition to peace set out through the Havana Accord in 2016. Broadcasted nationally on March 10, Duque’s refusal to sign the draft law did not come out of the blue. Indeed, before Duque’s objections went public, his political godfather and leader of the opposition to the Peace Accord, the hard right-wing ex-president Alvaro Uribe, posted a tweet asserting that the best that Duque could do was to eliminate the JEP. However, the strong signals sent by local actors and the international community allowed some sectors of Colombian public opinion to remain hopeful that the JEP will finally get a legal framework of its own. For instance, the JEP has been incorporated into Colombian law and, insofar as the debate and critiques to the JEP have arisen, the international community and the International Criminal Court (ICC) have immediately reiterated their support to the JEP. The role of the ICC in this debate must be considered through the lens of the principle of positive complementarity through which, briefly speaking, the ICC induces States parties to comply with their obligation to investigate and prosecute crimes domestically (Bjork and Goebertus 2014). This international support added to the role played locally by Colombian Constitutional Court which, after evaluation of the draft law, had already delivered a favorable decision on its constitutionality. Indeed, the Court’s decision took off the table the possibility that Duque could invoke the unconstitutionality of the law as an argument to justify his negative decision. Despite this, Duque did not resist the pressure to meet the expectations of his political godfather, and neither did he lose the opportunity to recapture its hard-line constituency. Finding a way around, Duque opted to refuse approval by challenging six articles of the law. But indeed, these aspects had already been revised by the Constitutional Court. It is therefore, to say the least, clear that Duque has provoked a clash between the executive and the judiciary powers in which, as Rodrigo Uprimny and Juanita Goebertus suggest, the executive power attempts to revive a discussion on issues about which the Constitutional Court has already given its final decision. The chances that Duque’s objections obtain Congress’ approval are few. But it is worth referring to the objection touching on the criterion of prioritization. According to this criterion, the JEP should give priority to the most representative and severe crimes, which is explained by the large number of crimes committed throughout a conflict that has lasted more than half a century. If Duque’s objection is upheld, all the guerrilla fighters should be tried by the JEP, which most likely will result in the overburdening of the transitional justice system and therefore in its collapse. Not surprisingly, it is asserted that Duque’s objections deter guerrilla combatants from demobilizing and seek the failure of the JEP. The Peace Accord is constitutionally shielded as the Colombian Constitutional Court issued in October 2017 a ruling which states that the next three governments must comply with its implementation. But this does not mean that disagreements over the Peace Accord and its implementation have ceased to exist. During 2017, presidential members of Duque’s political party, the Democratic Center (hereafter DCP), pledged to undercut the Peace Agreement, whereas Duque asserted that once elected he will not destroy but reform it. Once in office, however, Duque has gradually aligned his politics with the practices and discourses of the DCP. I will provide some examples that show how Duque and his Party have specifically targeted institutions and mechanisms of transitional justice performing what could be termed as antagonistic politics against transition to peace. Submitted to the Congress in September 2018, an initiative prompted by the DCP sought to create a separate tribunal for the militaries, so that they and other members of state security forces did not have to appear before the same court as that of the guerrilla members. Underlying this initiative was the idea spread through social media according to which the peace accords were a means to besmirch the honor of the militaries. In terms of the DCP, the JEP would put national heroes on the same footing as the guerrilla members. Although this attempt failed to win Congressional approval, the amplitude of the debate in public forums and in the media allowed the DCP to pay lip services to their hard-line constituencies, as it made those militaries who support the peace process look as subordinated and kneeled. Another target of Duque’s administration antagonism against the peace accords has concerned the program of coca substitution and rural development initiatives (PNIs). This program has sought to bridge the social inequality gap between urban and rural territories as well as to tackle the drug trafficking industry, a dangerous mix which has permitted the Colombian armed conflict to persist. The program entails to offer to coca farmers and their families a way out of dependency on coca bush cultivation. Along with granting financial incentives to the families who join the program, the PNIs is linked with development measures such as the building of social and economic infrastructure in the regions that have been most severely affected by the conflict. Viewed as one of the peace agreement’s transformative measures and as a flagship engagement of the Juan Manuel Santos administration, the voluntary substitution of coca crops has provided enhanced opportunities for transitional justice to not only tackle territorial inequalities but to bring about social and gender justice. 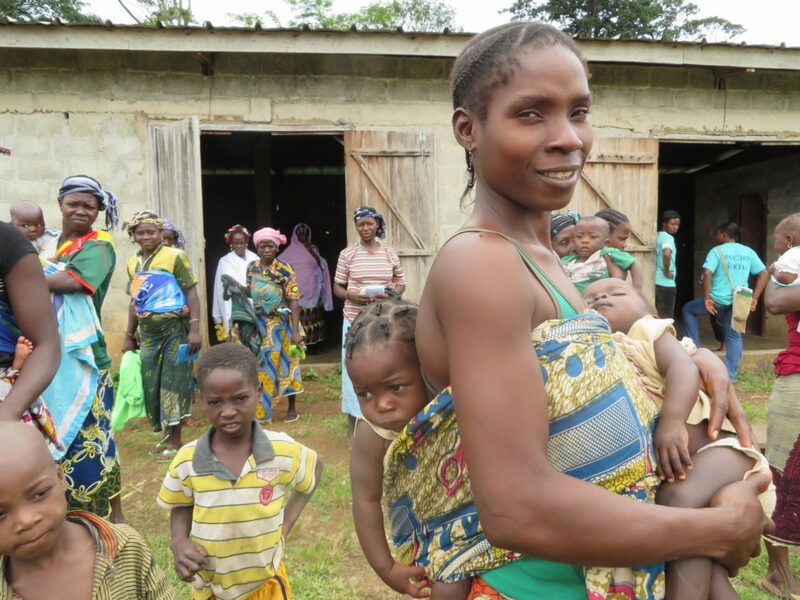 By 2018, more than 77 thousand families have enrolled in the program and it has allowed the issue of more than 1,065 land titles to small farmers, 44% of whom are women. Such figures speak of the transformative potential of the PNIs to tackle a crucial and historically entrenched marker of gender inequality, specifically women’s access to land. For those populations living in rural drug trafficking areas, the almost only form of governance they have ever known is the alternation in power of armed actors, whether the Colombian army, the paramilitaries or guerrilla groups. Therefore, the PNIs represents as well a chance to bring holistic governance and justice to civilian populations, whose lives have been defined by a patriarchal military rule. Certainly, however, two main challenges threaten the sustainability of the PNIs. On the one hand, emerging criminal bands (BACRIM) and the National Liberation Army (ELN) are taking over the control of drug trafficking areas formerly controlled by the FARC. But not less concerning is the announcement of the Duque administration to re-integrate forced manual eradication and to resume glyphosate spraying which was banned by the Constitutional Court in 2015. Duque’s securitarian approach against coca farmers has led ex-president Santos to intervene before the Constitutional Court in order to defend the focus on voluntary substitution. Meanwhile, on the ground, thousands of peasants are rallying against the return of glyphosate and the underfunding of the coca crops substitution program by Duque’s government, which as Insight Crime asserts has left “100,000 families in limbo”. The above examples are illustrative of the ways in which Duque’s politics of peace are undermining social, cultural and economic transformations that the transition to peace was aimed at bringing about. Yet, symbolic mechanisms of transition have not been spared from Duque’s antagonistic politics towards peace. In a move that has been described as an attempt to re-write the history of the conflict, Duque appointed as new director of the Center of Historical Memory (CHM), the researcher and historian Dario Acevedo. Known for his negationist statements about the Colombian armed conflict, Acevedo’s perspective echoes Uribe’s discourse according to which Colombia has faced a terrorist menace and not an armed conflict. Created in 2011 through the Victims’ Law, the CMH has the mission “to investigate and to document the atrocities that took place in the context of the internal armed conflict.” So, as soon as Acevedo was appointed in February 2019, intellectuals’ and victims’ associations quickly manifested their disagreement, raising the question of whether a researcher who negates the armed conflict is the right person to lead the CMH to accomplish its task. The implications that Acevedo’s negationism might entail in allowing or preventing victims’ right to truth are still uncertain. What is certain, though, is that the construction of memory of the conflict is an aspect in which the political dimension of transitional justice and peacebuilding is more visible. 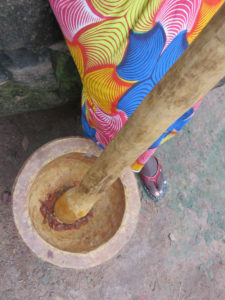 Willing or not, memory is produced through agonistic processes in which there will always be moments of conflict regarding, for instance, the terms of the narration, its time framework, the categories it includes, the voices it allows to speak, as well as the methodologies and means through which memory is produced and represented. The Center of Historical Memory has been recognized for its independence from the government in office but also for its participatory methodologies and for giving room to a plurality of voices. However, according to the members of the Democratic Center, the CMH’s research agenda has until now being oriented by a leftist perspective. In their view, the CMH has given bigger weight to the role of paramilitaries in the conflict while devoting less effort in documenting the violence of the conflict undertook by the guerrillas. Bearing this critique in mind, it is reasonable to be concerned about the politics of memory that Acevedo’s work and the Duque administration are aimed at producing. In a recent paper published by Peter Verošek on the politics of memory, the author draws attention on a contemporary trend driven by populist regimes which seeks to impose a “glorious national past” by portraying those who contradict this kind of narrative as traitors. Reflecting on Verošek’s work, one cannot help but think about the populist reactions of ex-president Uribe against ex-president Santos. Since 2011, when the Santos government recognized the armed conflict and the victims, thereby paving the way for a dialogue with the FARC, Uribe has slandered Santos labeling him as a traitor. 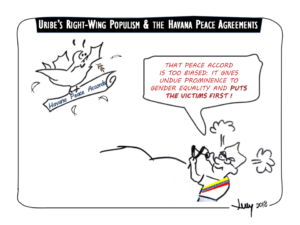 A year later, when Santos engaged in peace talks with the FARC, Uribe expressed his rage by portraying the peace process as a surrender of the country to Castro-Chavism. Investigating the experience of the victims and survivors is much more than collecting facts about the past. It is about reflecting on the causes and making sense of the violence by locating it in a historical and political frame. Actualizing the right to reparation and guarantees of non-repetition that are due to the victims involves building a perspective of the past in which a plurality of voices are represented and which does not erase local interpretations. It is through this agonistic dialogue that victims and survivors obtain redress and societies might know and address the causes of violence, so as to ensure that it will not happen again. To frame the violence of the conflict, however, in the limited context of a terrorist menace overshadows the violence from its social and political causes, whereas it reduces the experience and suffering of the victims as being the result of madness. The spread of such vision, prompted by Duque’s party, undermines sustainable peace as it ends by delegitimizing the needs and efforts to transform power relations of class, ethnicity, location, gender or political affiliation that the Colombian transitional justice system is called to build up. Duque’s antagonistic politics towards peace is telling of the political and therefore inherent conflictual condition of peacebuilding and transitional justice. Underlying this condition is the fact that the building of peace implies making choices and transforming relations of power. Duque’s antagonistic politics represents an articulation of interests that contests these transformations. This contestation could be legitimate and should have a place in an agonistic dialogue. But if societies are seriously engaged in achieving sustainable peace, this dialogue should seek the reform and consolidation of peacebuilding rather than to induce the failure and collapse of its mechanisms and institutions. Sonia Garzon-Ramirez received her PhD in Comparative Gender Studies from Central European University, Budapest. Her area of study includes the intersections between feminist theory, transitional justice, peacebuilding and critical race theory. 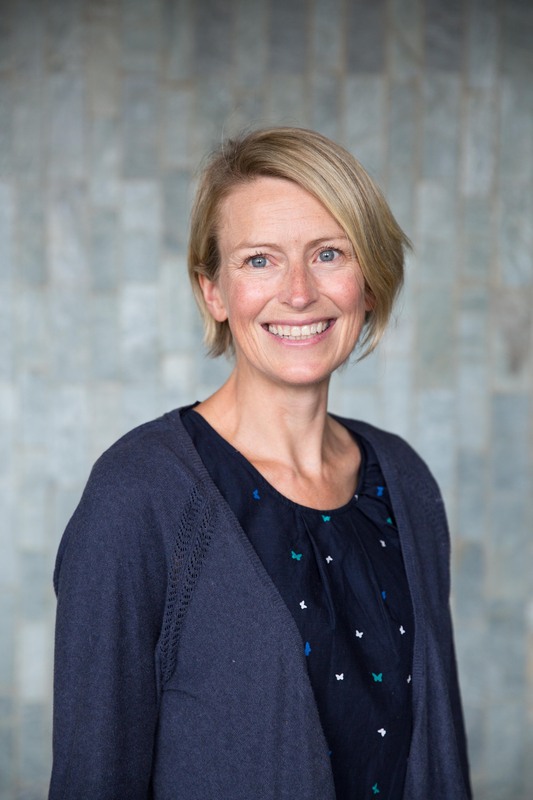 Her current research focuses on societies of the global South experiencing democratic or post-conflict transitions. It explores questions concerned with how to make transitional justice truly transformative, how to transform resistances to peacebuilding into agnostic relationships, and the nexus between transitional justice, peacebuilding and socio-spatial justice. Yesterday, Ukrainian neo-Nazis stormed a European lesbian conference due to be held in the capital city, Kyiv, with the aim of shutting down the gathering before it even starts. Using tear gas and armed with placards, the ultra-right wing ‘protestors’ have spent days hounding the hotel where the conference is to be held, including smashing hotel windows and spray-painting homophobic graffiti. Picket signs read “Go back to hell, sodomites” amongst other unsavoury sentiments. This targeting of the lesbian conference is just the latest in a string of violence perpetrated by neo-Nazis in Ukraine against women and the LGBQ+ community, which has become increasingly frequent in the last few years. Women and LGBQ+ are not the only targets of this violence – last year, the targeted attacks against Roma in Ukraine by ultra-right wing nationalists made international headlines. Less reported on are the similarly systematic harassment and intimidation of immigrants and other ethnic minorities in the country. In a country like Australia, we would have a hard time imagining that such harassment, violence, and intimidation against women, sexual and ethnic minorities could become so commonplace. But I think Ukraine is a litmus for the rest of the world in terms of how quickly the polarization of politics can become lethal, and threaten to undo nearly 80 years of human rights advances. The reason this far-right wing violence has become practically acceptable in Ukraine has to do with the civil war that has affected the country for nearly 5 years and the fusing of militarism, masculinity, and the state that enables the policing of the gender order by these groups to take place. Tracing the story of war, militarism, and the rise of a particularly violent and aggressive form of neo-Nazi, militarized masculinity in Ukraine requires us to go back a few years. Euromaidan came under heavy siege from the Ukrainian government. The violence perpetrated against protestors was a strong impetus for many to commit what time, energy, and resources they had to support the movement. But, as with any violence, it also attracted a certain kind of man in droves, seemingly seduced by the opportunity to wield and use weapons and act as masculine protectors. Many of them shared political views that would place them far on the right side of the political spectrum, fostered and developed for many through their love of football (but that’s a whole ‘nother story). While by no means the majority of participants in the protest, these violent men soon gained prominence and prestige as the ‘heroes’ of Euromaidan. 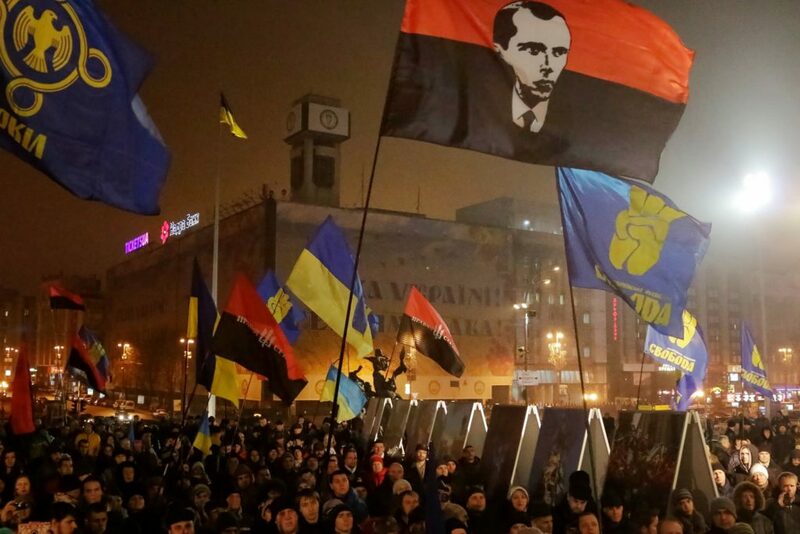 Volodymyr Ishchenko, Senior Lecturer in the Department of Sociology at Kyiv Polytechnic Institute, has been tracing the influence of the far-right in Ukraine since Euromaidan. He noted early on that despite their media prominence, the values espoused by the far-right did not reflect the general values of those participating in the protests. Yet, their apparent heroism has allowed for the normalization and even valorization of these extreme views. Now, the true impetus or cause of the civil war is contested and I’ll reserve my views for now, since the important thing to note for this analysis is how, as heroes of the Revolution, these far-right groups soon became national war heroes for volunteering to take their arms and transfer their violence towards their new enemies – the separatist forces in Donbas. With historical factors and the revolution leaving the armed forces in disarray, when the separatists declared independence in Donetsk and Luhansk regions and seized government buildings by force, the Ukrainian government depended on groups of civilian men who formed ‘volunteer battalions’ to source their own weapons, mobilize to the front line, and fight for the territorial integrity of the state. Since then, though small in number, these militant far-right groups of men have become an increasingly powerful political force in the state and the government has proven itself unable or unwilling to reign in their violence when it is directed internally at civilians far from the front lines of the civil war. To the neo-Nazis, the enemies are one in the same. According to one with whom I spoke for my own research, the enemy against whom they fight is “homosexuals, paedophiles, and communists.” Those enemies do not just exist in the armed units of the separatist forces, but, by their rationale, in all aspects of Ukrainian society and have the potential to threaten the cohesion and stability of the state anywhere at anytime. As such, it has become increasingly dangerous to be not only left-wing, but liberal in any sense of the word in Ukraine. In such a situation, the rights of women and of sexual and ethnic minorities are facing quick erosion. Not only are these groups systematically targeted by far-right groups, but so too are the formerly mainstream, acceptable demands now being de-legitimized. For example, far-right groups harassed and attacked organizers of Ukraine’s International Women’s Day march, arguing that IWD is a ‘Soviet holiday’ and that women should be celebrated on Mother’s Day, instead. Certainly, as we have seen with the recent Christchurch terror attack, the values and sentiments expressed by the far-right are not confined to Ukraine. There is a rising polarization of politics, globally. 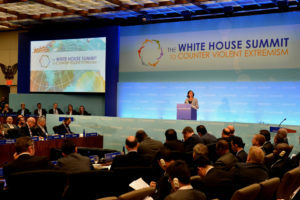 We have to stop thinking of the violence perpetrated by far-right militant men in the West as “lone wolf” attacks and begin placing their violence within the context of militarism, misogyny, and xenophobia that unites their vision of the world and glorifies violence perpetrated against women and minorities. “I don’t feel that Duque can jeopardize my legacy,” asserted Juan Manuel Santos, the outgoing Colombian president and Nobel Peace laureate in an interview with the news website La Silla Vacía published on July 7, 2018. Santos’s response might calm down some of the fears of Colombian peace process supporters, as much of them see in the entry into office of the president-elect Iván Duque on 7 August 2018 a serious menace to the ongoing implementation of the peace agreement signed by Santos’s government with the FARC guerrilla in 2016. But statements made at the 2017 National Convention of the Democratic Center Party have even sparked the fears of those who were confident in the implementation of the peace agreement, as one of its most relevant members asserted that the first challenge to be undertaken by Duque’s political party will be “to shatter this cursed paper called final agreement with the FARC.” Nevertheless, during the presidential campaign which led to his election in May 2018, Duque was able to play a more moderate card by using a double-edged strategy. One the one side, Duque claimed that he we will make some adjustments to the peace agreement and, on the other, he pledged to support the ongoing process of FARC demobilization opened up by this agreement. When starting his government on August 7, Duque will have a comfortable absolute majority in the Parliament, which will secure him the ability to pass any proposed reform. However, the peace accords have been enshrined in the Constitution and, moreover, a ruling of the Constitutional Court obliges the next three governments to implement them. All well and good, but can we trust Duque’s independence from the hard-liners of his right-wing party? Why should we be cautious about the populist imprints of the Democratic Center? And more precisely, how might the Democratic Center’s populism endanger gender mainstreaming in the peace-building process? Why Should We Fear the Democratic Center’s Populism? Contrary to what this question might suggest, I must start by asserting that I don’t reject populism outright. As Chantal Mouffe suggests, there is a necessity of certain forms of populism in order to enhance the agonistic relations that are essential for a vibrant democratic debate to exist. In their defense of populism, Mouffe as well as Ernesto Laclau explain that populism is not an ideology but “a way of constructing the political” (Laclau 2005). It is a way to build a transversal political identity by articulating different political demands. Not limited to concerns of class, populist demands may stem from other cross-cutting social relationships including, for instance, nationality, gender, race, religious belonging, or even environmental relations. A populist chain of demands is not fixed, but rather can be re-articulated or fall apart. That is another reason why populism is better defined as a way of “constructing the people,” and not as an ideology. To put it shortly, the need for left-wing populist alternatives, that Mouffe prompts, arises as the current post-political consensus has rendered the adversarial model of politics obsolete and has achieved to turn the rule of technocracy into a hegemony. But at the same time, it is precisely the increasing rule of technocracy, with its ability to depoliticize and foreclose any debate about possible alternatives to, for example, measures of austerity, the rules of neoliberal globalization, or the global refugee crisis, what is at the roots of the current global success of right-wing populism. Unlike a current elite unable to formulate alternative answers, right-wing populist parties claim that they embody the voice of the people, and their ability to construct a collective difference between an Us opposed to a Them is one their basic features. Notoriously, the other key feature of right-wing populism is its ability to build a political identity based on the articulation of a chain of identities and demands against a current elite, who they claim has failed or betrayed the people. And precisely, this recurrent practice whereby a political group labels those who dissent or oppose them, for instance, of being unpatriotic or supporters of terrorism, has been one of the most prominent footprints of Duque’s party Democratic Center. Thus, in order to map the populist architecture of this right-wing party, it is good to start by scrutinizing this practice. Founded by Duque’s godfather, ex-president Alvaro Uribe, the Democratic Center fiercely opposed not only the Havana peace talks all along, but reparation to the victims. Insofar as Santos deepened his commitment to these causes throughout his presidential mandates (2010-2018), Uribe’s response was not long in coming and expressing his fury. Uribe labeled Santos as a traitor who was leaving the country in the hands of a communist menace that he called Castro-Chavism and, moreover, accused Santos of leading the surrender of the country to the FARC. The gendered dimensions of Uribe’s rhetoric are close to the surface, and that, coming from a politician whose war-centered approach to end the Colombian armed conflict and to deal with the coca cultivation entailed a serious militarization of women’s lives, is not surprising. Echoing the sense suggested by Cynthia Enloe, by militarization of women’s lives, I mean a governmental rule that provides a sense of worthiness and normalcy to military –and paramilitary– ideas. 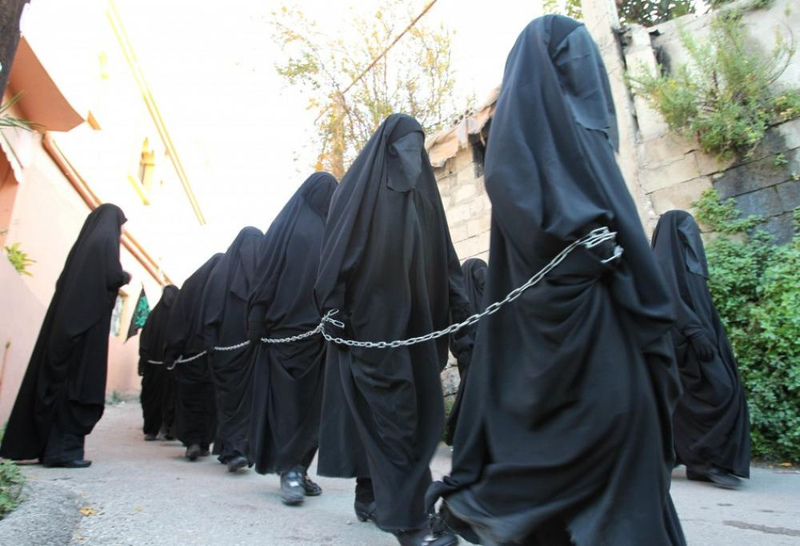 Feminists, as Meger reminds us, “have documented the role that discourse plays in constructing gender symbolism and naturalizing hierarchies of dominance and subordination.” Moreover, she claims, “the discourse of counterterrorism is not only a means of delegitimizing insurgencies but also of feminizing them” (Meger 2016: 90). Uribe’s strategy to deny the FARC guerrilla belligerent status during his mandate was not an exception in this respect. But here, in order to sabotage Santos’s peace process, Uribe was able to use the discourse the other way around. Crafting an analogy between the Havana peace talks and military surrender, and equating Santos’s peace politics with a betrayal to the long effort of the Colombian Army against the FARC’s terrorist menace, Uribe sought to turn the military and their supporters against Santos. And in fact, in the view of public opinion, Uribe succeeded in creating a climate of distrust between the executive and the military. In Uribe’s populist rhetoric, Santos’s peace politics meant the dishonor and emasculation of the Colombian National Army, rendering both the long military struggle against the FARC as if it has been of no value and the sacrifice of Colombian people in the war of drugs as if it would have been in vain. But, just as Santos counteracted the effects of Uribe’s rhetoric by including the military at the negotiating table, so too the Democratic Center was also able to reframe its chain of equivalences (interests-identities) and to keep its populist architecture going. In this endeavor, another maneuver particularly gendered that serves the purpose of securing to Uribe’s party a large section of the Colombian electorate was set in motion during the campaign on the plebiscite for peace that took place on October 2016. At that time, the Democratic Center orchestrated a misleading campaign that led not just to the resignation of Education minister Gina Parody but, even worst, to the rejection of the Havana peace accords. In what has been one of its most successful attempts to destabilize Santos’s government, the Democratic Center appealed to the religious beliefs and fears of the Colombian electorate by directing its attacks to the mainstreaming of gender in schools and to the inclusion of the term gender in the Havana accords. Crafting a discourse to stir up fear among the growing Christian community (Protestant and Catholic), the Democratic Center targeted as its new scapegoat the minister Parody. Blaming her for smuggling a supposed gender ideology into the schools and into the peace agreements, this party claimed that the inclusion of such foreign gender ideology would jeopardize the heterosexual basis upon which the traditional Colombian family is grounded. In the aftermath of such a defeat in the plebiscite, which journalist Maria Jimena Duzán has called “The Night of Tears”, Santos managed to achieve a new peace deal which included amendments and clarifications suggested by sectors of the “No” vote. Approved by the Colombian Congress on December 2016, yet the new peace accord maintained the use of the gender-based approach, which broadly speaking was referred to as the recognition of equal rights for men and women. Despite the fact that Colombia has not issued a National Action Plan for the implementation of UN Security Council resolution 1325, the final peace agreement has been recognized for having incorporated 122 gender-specific provisions. 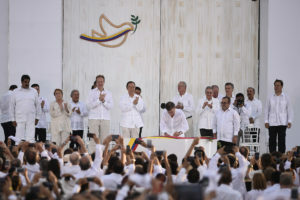 In its ambitious architecture, the Colombian peace agreement with the FARC seeks to tackle the following aspects: First, what have been identified as the causes of the war, and which, worthy to mention, have underpinned the FARC insurgency’s political grievances, such as inequality in land access and concerns related to territorial control. Second, factors and dynamics that fuel the war, being the most significant drug trafficking and others such as illegal mining. Third, socio-economic and political inequalities that have allowed human rights violations, which include but are not limited to gender, race, ethnicity, sexual orientation, and political beliefs or affiliation. 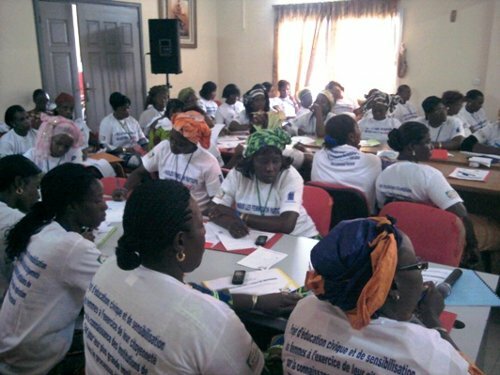 Four, the peace accord aims at offering to the victims a comprehensive system for truth, justice, reparation and guarantees of non-recurrence. Thus, going beyond the disarmament, demobilization and reintegration (DDR) of the FARC guerilla, the final document addresses the above-mentioned aspects in six chapters: (1) comprehensive rural reform, aimed at reducing the socio-economic gap between urban and rural areas which, worth mentioning, involves measures aimed at bringing about sustainable development; (2) political participation, with a view on enhancing democratic pluralism broadly understood; (3) DDR of the FARC members in order to guarantee their political, social, and economic integration into civilian life; (4) comprehensive solution to the drug problem which promises to overcome the over-criminalization produced by the war on drugs and, instead, involves a comprehensive plan with an equity-based and gender-based approach for the substitution of crops tackling the structural causes that lead families to cultivate illicit drug crops; (5) comprehensive system of transformative transitional justice; and (6) system for the verification of the implementation of the agreement. So far, so good. But can we be sure that in his attempts to adjust the peace agreement, the newly elected president Duque could resist its political party’s tendency to resort to right-wing populist strategies? Since he was picked up as the Democratic Center’s official candidate, Ivan Duque was depicted for many as Uribe’s new puppet; a shadow from which Duque has not been able to free himself. And that despite the active support of the media, which facilitated him to elude any serious public debate. The media played its part directing the spotlight towards Duque’s experience working at the Inter-American Development Bank (IADB) and thereby helped him to build a pro-business profile. In the meantime, Duque refused to attend various debates, and notoriously a debate organized by women’s movements and feminist organizations, so-called “The Women Ask.” Yet, the Democratic Center could not afford to overlook the LGBT constituencies. Hence, it found a way around not just to repair the rifts caused by its misleading campaign on gender ideology, but to counteract the fears of the LGBT community that the Democratic Center will re-open the so-called anti-gay referendum. Without hesitation or shame, Uribe rushed to give a hand to his protégé by addressing a public statement to the LGBT sector and declaring that the Democratic Center will respect all acquired rights. As for the peace process, Duque maintained his positioning as a moderate politician by emphasizing that he will adjust the agreements rather than shatter them. However, history might repeat itself and, hence, Duque might face serious difficulties to maintain a margin of autonomy from his party. As it happened with Santos, any step Duque might take in an opposite direction from Uribe’s rightist approach or from the Democratic Center’s hard-liners could cause him to be labeled as traitor. The latest developments show that Duque’s government has begun to reshape the peace-building process even before its entry into office. Just some days after Duque won the presidency, the Congress passed a reform proposed by his party which weakens the power of a backbone institution created through the Havana agreements, so-called Special Jurisdiction for Peace (JEP in Spanish). The JEP is a transitional justice mechanism whose main function is to investigate and prosecute serious violations of human rights and international humanitarian law committed during the Colombian armed conflict. Since the creation of the JEP, the Democratic Center has argued that this tribunal places on equal footing guerrilla members and the military. Thus, recycling the argument according to which the peace agreement undermines the honor of the Colombian Army, the Democratic Center succeeded in obtaining from Congress approval of a reform that obliges the JEP to create a special chamber to judge military personnel. Law scholars, such as Rodrigo Uprimny, have argued that this measure disarticulates the entire transitional justice architecture, while others have warned that this reform leaves over 2,000 military personnel who have expressed their intention to appear before the JEP in a legal limbo. But beyond that, what this amendment suggests is that the attacks to the peace-building process that Duque’s right-wing party may put in motion will be brutal, though not necessarily frontal. While keeping his technocratic façade, Duque can be tempted to resort to populist tropes and strategies aimed at disarticulating the institutions created through the peace agreement. For instance, Duque might cast doubts on their design or on the neutrality of the functionaries appointed to work at these agencies asserting that they are ideologically biased. Thereafter, he can use that argument as a pretext to change their organization, turning them into dysfunctional agencies unable to accomplish their mission. Even starker, Duque’s government might provoke a division between the traditional poor and the victims. For instance, and given the huge cost of victim reparation programs, hard-line factions of his party can spread rumors asserting that, because of such expenses, the government might be obliged to reduce social investment for the poor. Or finally, as a report of the International Crisis Group has warned, the government might render transitional justice institutions inefficient by starving their operational budgets. Yet, by way of conclusion, the Colombian peace-building experience does not suggest that we should reject all forms of populism, or that populism is antithetical to peace building and democratic rule. If the tropes used by populism include, for instance, those related to gender equality and respect for diversity, populism can help societies to bring about transformative justice and durable peace. In contrast, when the tropes and mottos adopted by populism work to promote patriarchal masculinities, to undermine democratic pluralism or to maintain inequalities, it is most likely that the only kind of post-conflict context populism can help to bring about is one ruled by an oppressive peace. Note: at the time of submitting this article (July 2018), the Colombian Supreme Court announced that it has widened a criminal investigation to include Ex-president Uribe on charges of bribery and intimidation of witnesses. This investigation stems from another case concerning alleged participation of Uribe in the formation of death squads during the 1990s. My grateful thanks go to Lucy for permission to use her cartoon. I would like to thank also Carine Middelbos for her invaluable comments and editorial support.